One of the native woodlands’ smallest mammals is offering big answers for Virginia Tech researchers studying climate change and forest conditions in the Southern Appalachians. 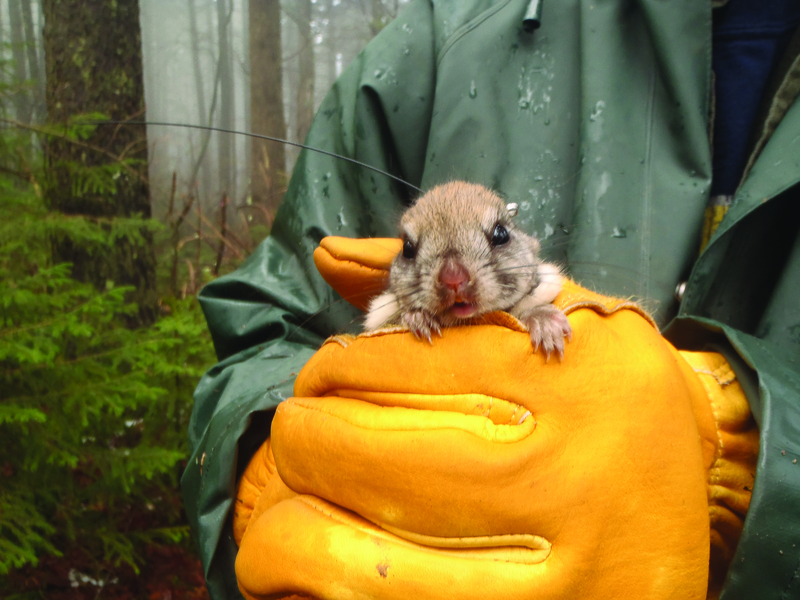 A radio-collared female Carolina flying squirrel was secured for monitoring on Whitetop Mountain in Southwest Virginia in 2014. Two subspecies of tiny northern flying squirrels are being carefully monitored by Mark Ford, associate professor of wildlife and leader of the U.S. Geological Survey’s Virginia Cooperative Fish and Wildlife Research Unit at Virginia Tech, and Corinne Diggins, who earned her doctorate in fish and wildlife conservation from Virginia Tech and is now a post-doctoral research associate in the College of Natural Resources and Environment. Flying squirrels don’t really fly. A stretchy membrane and rudder-like tail help the little mammal sail through the treetops, avoiding land-bound predators and navigating from den sites to foraging areas. Today, the patches of red spruce atop the Blue Ridge and Allegheny mountains mark the only habitats south of the Adirondacks for the rare Virginia and endangered Carolina subspecies of northern flying squirrel. 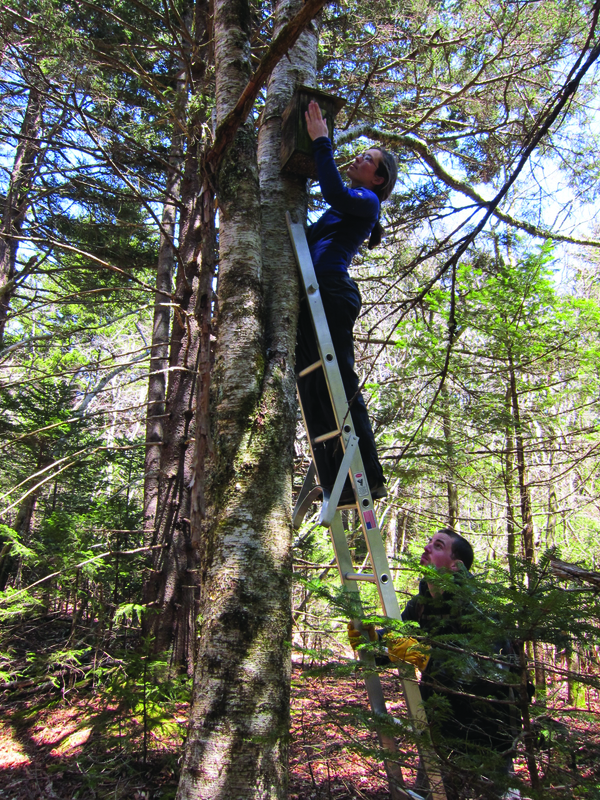 “Monitoring the squirrels tells us about the health of the red spruce forest and the whole high-elevation ecosystem,” Ford said. Both subspecies eat truffles–the fruiting bodies of fungi that live symbiotically with the roots of spruce. The fungi help the tree take up nutrients, and the tree provides carbohydrates for the fungi, which in turn depend on the squirrels to disperse spores. Diggin’s research helped highlight this three-way dependency between the squirrels, spruce, and fungi, which is essential to their survival. Susan Trulove retired as communications director of the Office of Research and Innovation in 2012.